The strong historical link between home prices and industrial land is diverging at its fastest rate in more than a decade as institutional investors continue to pay big prices for e-commerce and logistics space, reports the AFR. According to new data from JLL, industrial land values across the east coast recorded an average 21 per cent increase year on year for sites between two and five hectares while residential property prices were flat or falling. “The mutual driver of residential and industrial prices had been population growth, but that has now broadened for industrial property over the past few years, and values are also affected by land constraints and the increase in importance of e-commerce and its growth in the Australian market,” said Sass J-Baleh, JLL director of industrial research. Unprecedented rezoning of inner-city and middle-ring industrial land to make way for new apartments in the past five years had also affected the change in price trajectories by creating an oversupply of apartments and an undersupply of industrial land, she added. “A lot of businesses were pushed out of the cities to make way for residential projects, and we’re only now beginning to realise there’s a huge pent-up demand for industrial land in the inner and middle rings in metropolitan locations in Brisbane, Melbourne and Sydney,” she said. This trend will likely continue. JLL contends that over the next 10 years, Australia’s population is expected to grow by 1.6 per cent per annum, making it one of the world’s fastest growing advanced economies. Yesterday, The Australian reported the Sydney’s logistics property market is running hot with recent buyers swooping on more than $110 million worth of assets. Meanwhile, The Sydney Morning Herald says industrial take-up levels across the Australian market in 2018 have hit the 2 million-square-metre mark, on track to exceed the five-year annual average. Planning lobbyists, The Urban Taskforce, recently urged the Greater Sydney Commission to release large parcels of industrial land in Sydney’s north and west. “The proposed ‘retain and manage’ approach to industrial land in the Eastern City is too restrictive and will eliminate many sites that could provide large precinct developments that incorporated jobs, infrastructure including parks, child care, health and community centres and residential development,” a Taskforce statement said. 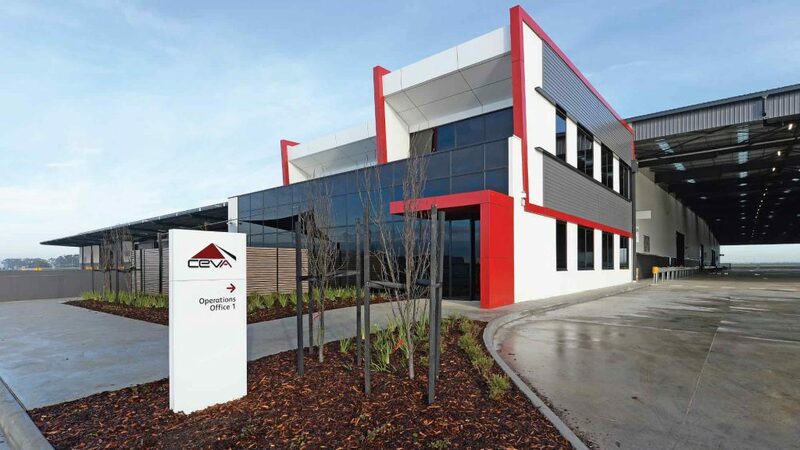 In Melbourne this week, Frasers Property Australia secured a huge prime industrial land parcel in Melbourne’s northern suburb of Epping for $40 million. “As the population of Melbourne continues to grow, demand for food production, storage and distribution, housing manufacturing and eight-hour distribution to Sydney, will drive strong demand growth from occupiers in the area,” Cushman & Wakefield industrial director Michael Green said. Strong demand from logistics, transport, retail and manufacturing companies pushed down industrial vacancy rates across the east coast with the Melbourne market hitting a five-year low, according to September quarter data compiled by Knight Frank. Melbourne’s northern industrial market consists of approximately 2.2 million square metres of gross floor area. Currently only a small 40,000sq m of prime industrial space is on offer, a vacancy rate of less than two per cent. David Harrison, chief executive of property fund manager Charter Hall, said strong rental growth and record-low vacancy rates were pushing industrial property prices higher.